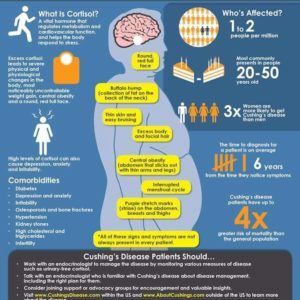 Disorder Corner » What is Cushing’s? use of oral corticosteroid medication. The condition can also occur when your body makes too much cortisol on its own. So what does all this mean? Well, first of all, Cushing's is categorized as a rare disease. This makes it difficult to diagnose and treat. People can go for years knowing something is wrong and going from doctor to doctor trying to find answers.